Des de WITS Institute estem treballant per millorar les condicions del Sector de la Construcció, i per això ens hem unit a diferents institucions del sector, desenvolupant diferents accions. Estem organitzant i desenvolupant el cursos BIM (Building Information Modelling) presencials i on-line de l’ Àrea Building School del Col.legi d’Aparelladors, Arquitectes Tècnics i Enginyers de l’Edificació de Madrid i Barcelona. Aviat en tindreu més notícies. També estem treballant amb el Gremi de Constructors d’Obres des d’on hem llançat una acció formativa gratuita, ja activa, per actualitzar els professionals del sector i puguin conéixer les virtuts del BIM i aprendre a treballar amb ell. S’han establert convenis amb All-Plan i Presto per a que cedeixin llicències. A qué esteu esperant en contactar-hi? Hi ha places limitades. A més, amb el Gremi i en el marc de la Xarxa Catalunya Emprèn, estem treballant per a crear els nous emprenedors del Sector de la Construcció, oferir segones oportunitats a empreses existents (en fallida o que hagin tancat) o traspassar negocis que són viables però no tiren endavant. From Wits Institute we are working to improve the conditions of the Construction Sector and that is why we joined different sector institutions , developing different actions. We are organizing and developing courses BIM ( Building Information Modelling ) in-person and online in the Area Building School from the Association of Surveyors and Building Engineers of Madrid and Barcelona . You ‘ll have more news soon . We have started working with the Union of Builders Catalonia to improve the Construction Sector of our country.We also are working with the Union of Builders from where we’ve launched a free formation action to update professionals of the Construction Sector. They will learn the values of BIM and how to work with it. We also have reached agreements with All-Plan and Presto for software licenses. What are you waiting for? There are limited locations. Furthermore, in this relationship, within the framework of the Entrepreneurs Network of Catalonia, we are working to create new entrepreneurs in the Construction Sector, offering second chances to existing companies (bankruptcy or closed business) or transfer business economically viable but not going ahead. 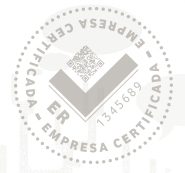 We have achieved the “Sello Emprendedor” (Entrepreneur Seal). It is a certification that guarantees your project’s quality, so it is very useful when looking for external partners and funding partners.